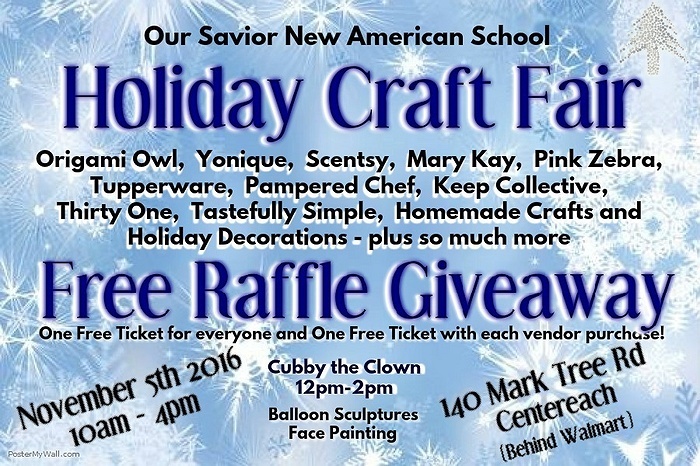 Subject: LongIsland.com - Your Name sent you Event details of "Our Savior Holiday Vendor Fair"
Our Savior Annual Holiday Vendor Fair is Saturday, November 5th. We have over 55 different vendors participate in our large gymnasium. We have local craft vendors selling their homemade items as well as direct sales vendors. Cubby the Clown will be with us again to do kids face painting and balloon sculptures. Free raffle too!